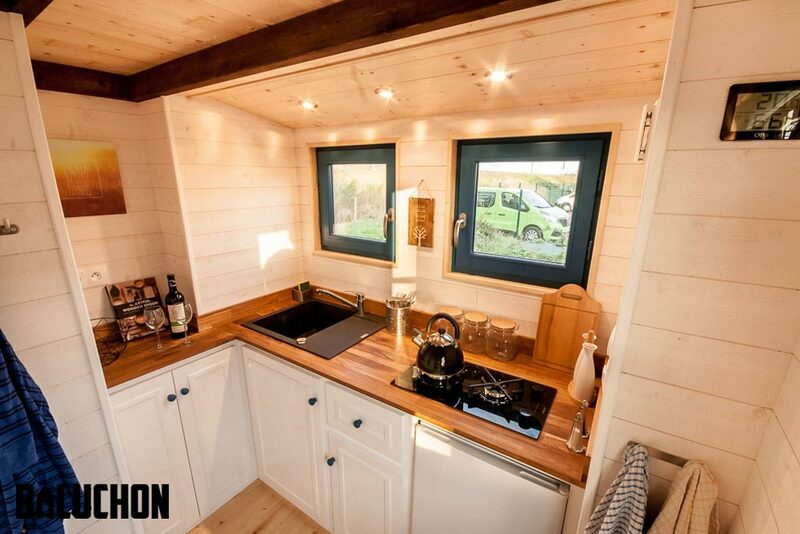 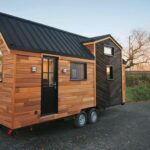 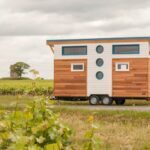 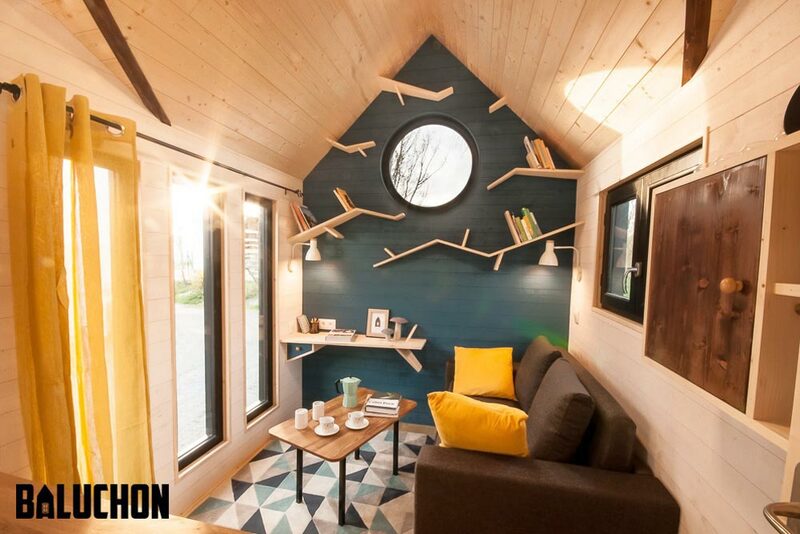 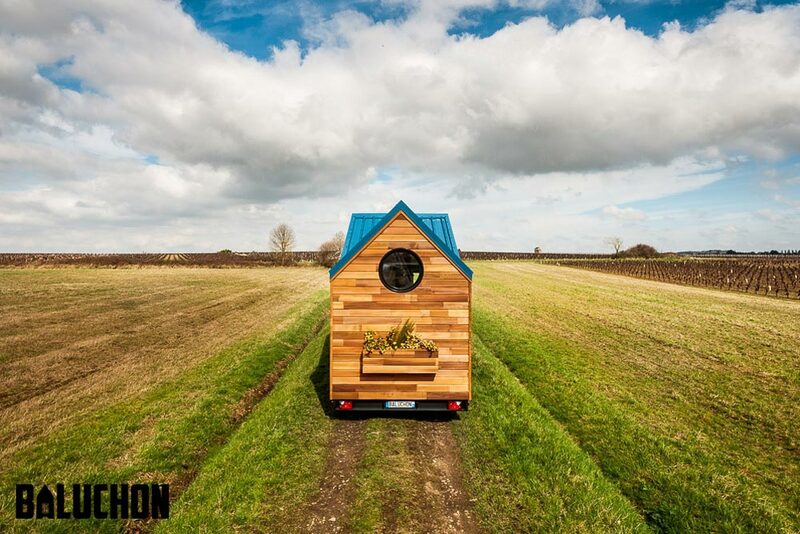 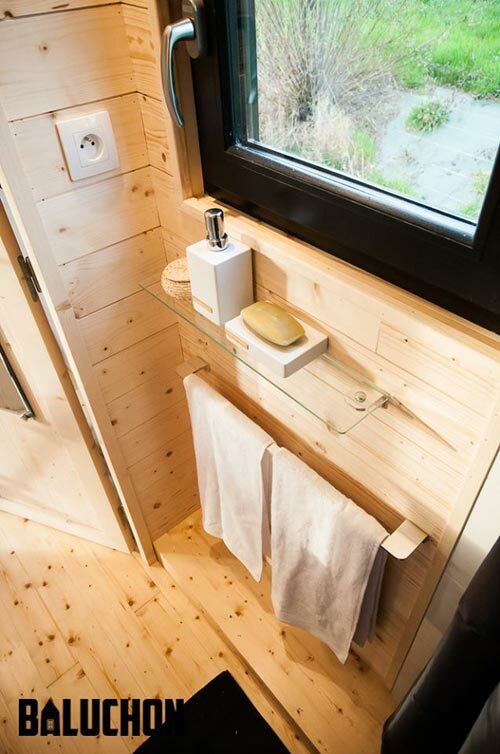 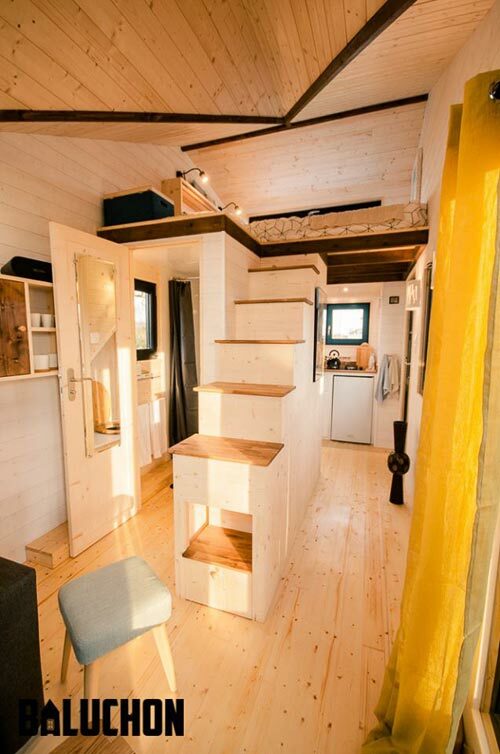 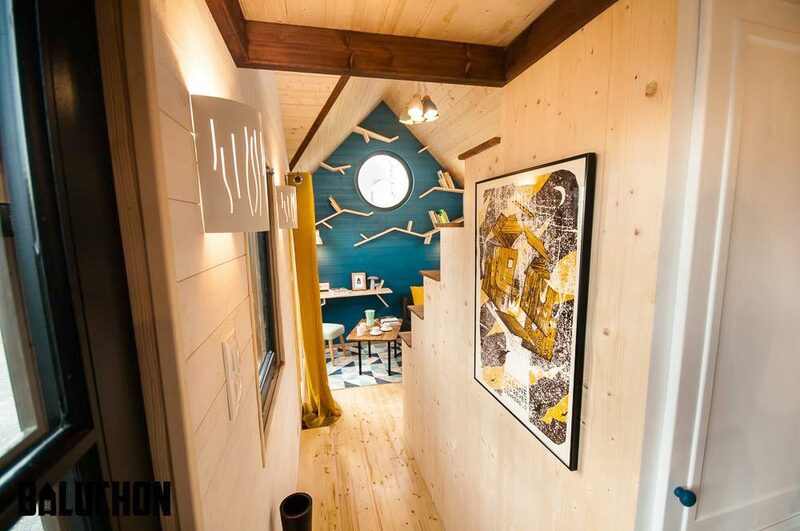 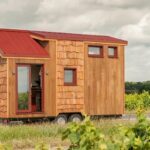 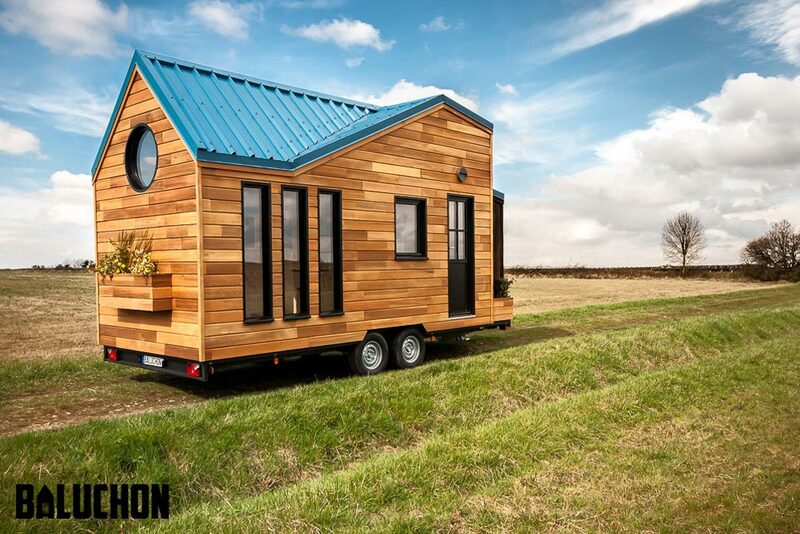 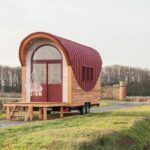 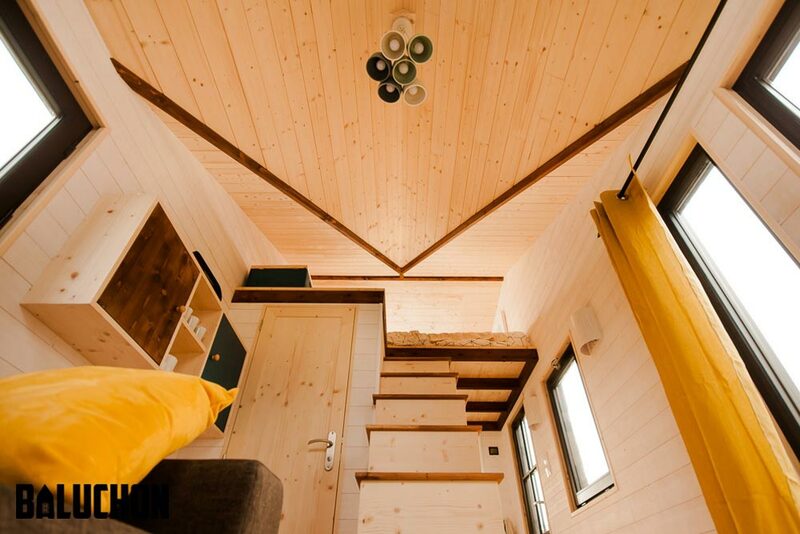 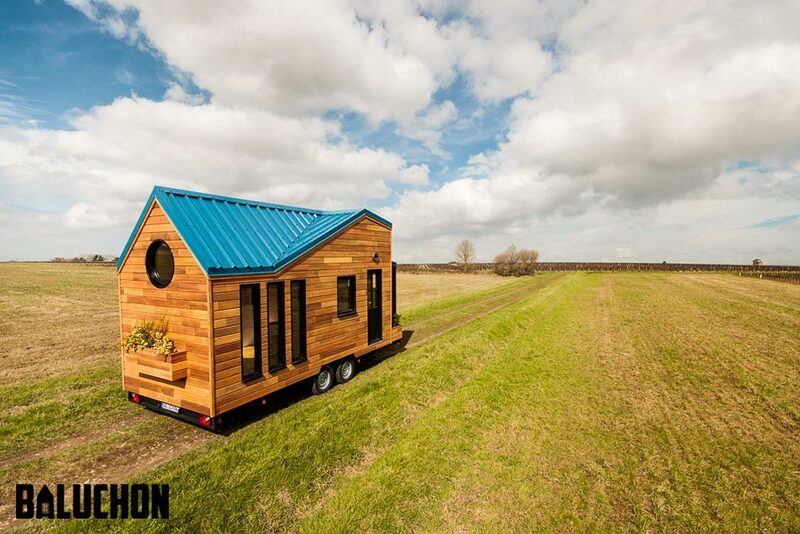 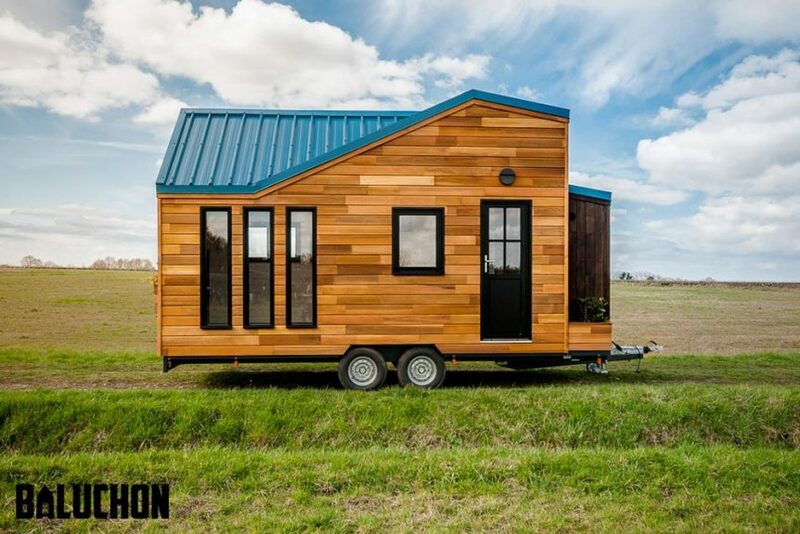 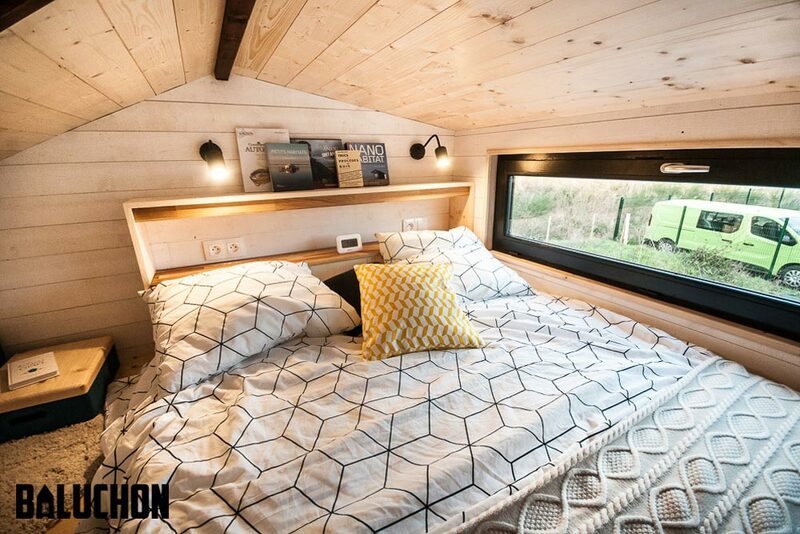 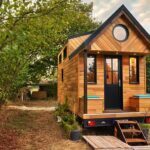 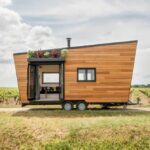 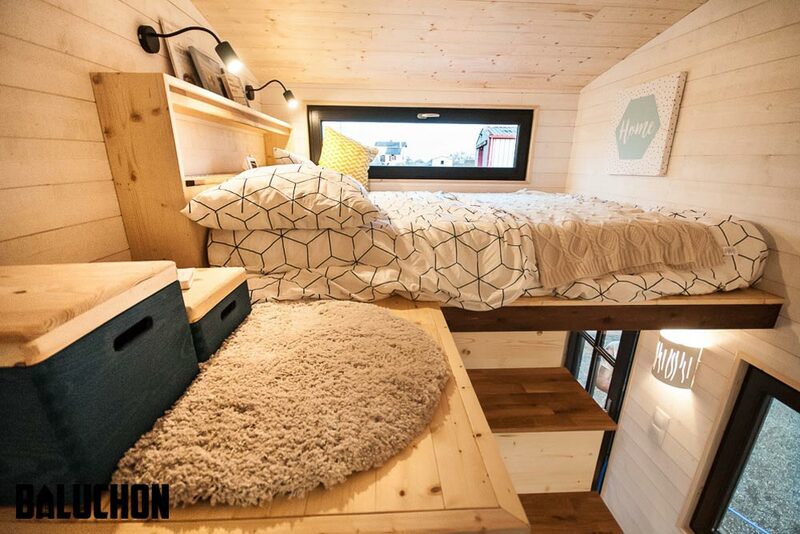 Ready to upsize from her caravan, Marie-Laure contacted Baluchon to build this custom tiny house, Essen’Ciel. 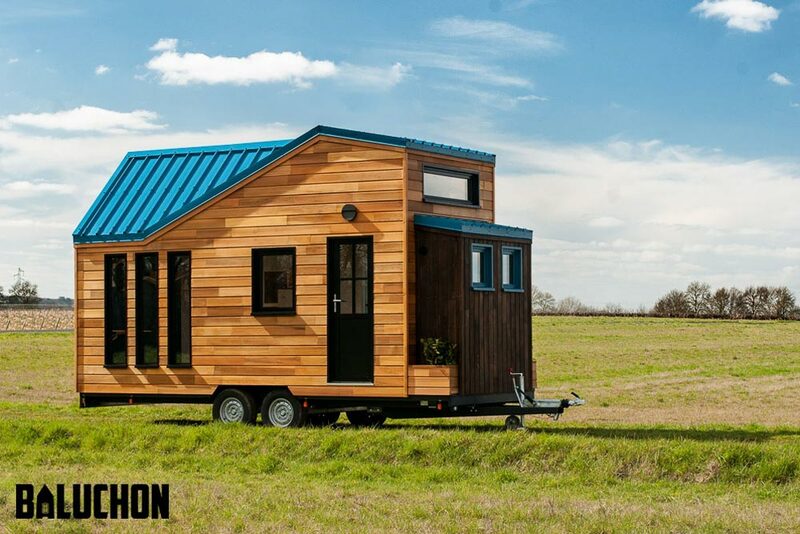 The stunning blue roof and full height windows give the Essen’Ciel a beautiful finish. 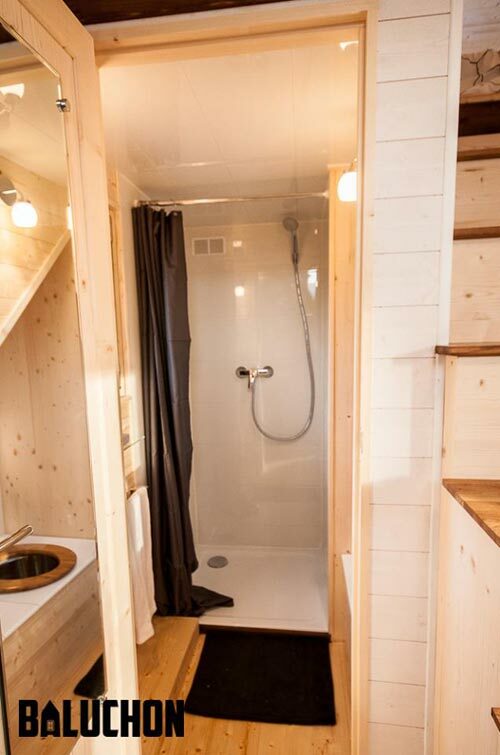 The homeowner wanted two distinct areas for the kitchen and living room, so Baluchon put the bathroom and staircase in the center of the house and the other areas on either end. 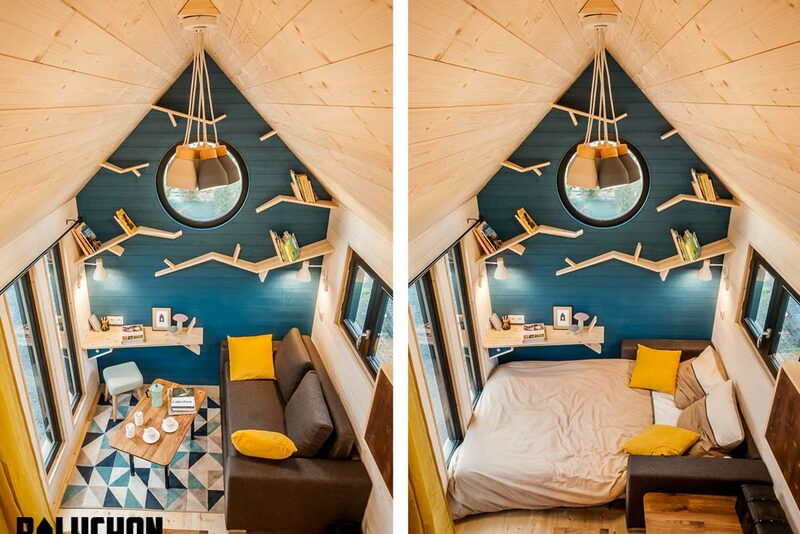 The living room has a blue accent wall with shelves designed to mimic branches, a small desk with drawer, and a large convertible sofa. 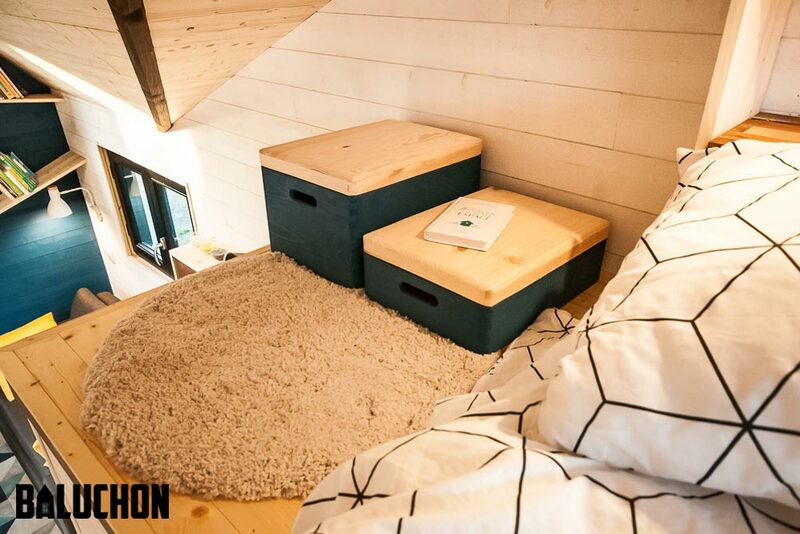 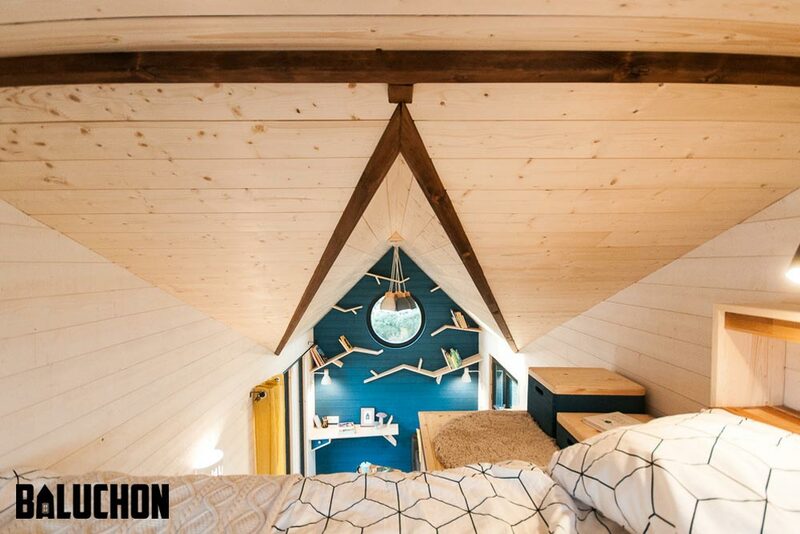 The bedroom loft is accessed by the central staircase, which has two retractable steps to open the floor space when not in use.